The home of interior design writer, stylist and blogger Cate St Hill. Once an instagram contact, now a good friend of mine. 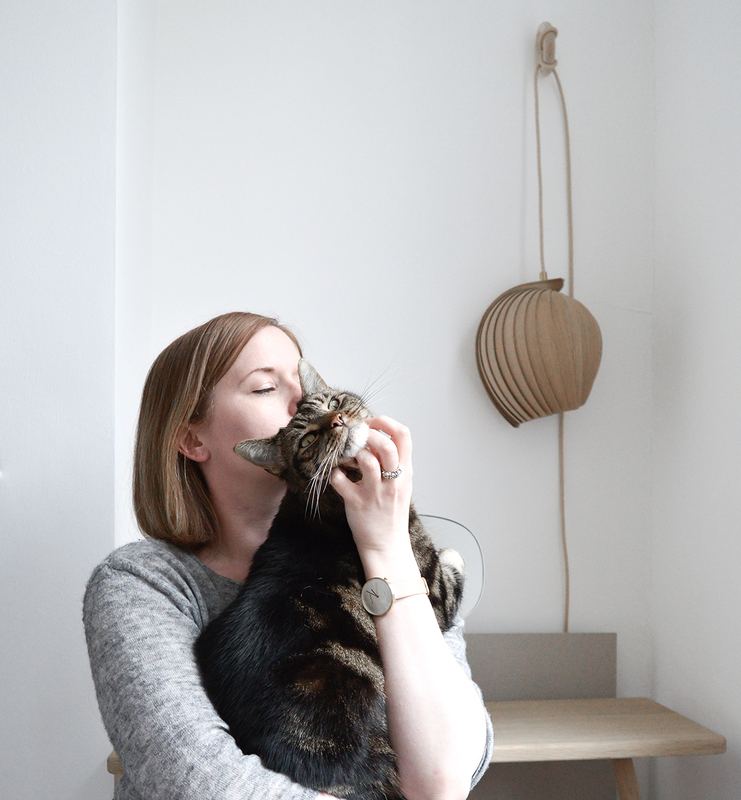 Cate invited me to her South London home that’s filled with Scandinavian style. You may have seen her instagram account and blog by now, I’m pretty sure you have. There she shares, among many design discoveries, a journey of her home renovation and interior styling. Her London home is effortless in style and tastefully curated. Cate has a beautifully calm aesthetic using modern and classic design together with muted tones of greys, whites and greens. The interior details are layered yet simple. Though Cate and I have different styles, we both have a lot in common when it comes to design choices. I was so inspired by my visit that I captured a few shots of her home through my lens. In Cate’s office and guest room she uses Ikea picture rails to display design magazines and layer objects in creating live mood boards. I found this very inspiring, the colour palette, the objects, all of it. A string pocket shelf in the kitchen with adorable styling. I need this miniature Fritz Hansen Series 7 chair! Original art my Liza Giles gives the room an extra essence of personality. The living room was a cosy grey and monochrome mix of Scandinavian style, comfort, objects with many wonderful books. An inspirational home and I look forward to seeing how Cate continues to restore and style the space. It looks pretty prefect already.